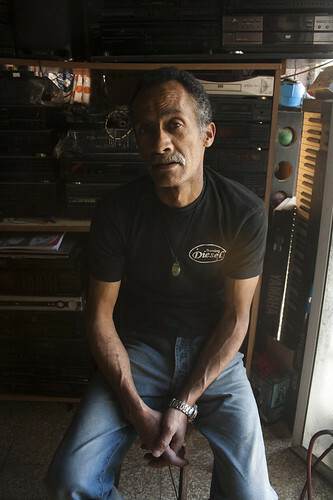 I borrowed a Canon DSLR from my buddy Julia in order to snap some shots of Ibrahim for an article I'm working on. It was such a pleasure to have a decent camera, I felt like I could suddenly speak again! Don't leave home without one. On my way to the shoot I familiarized myself with the camera by grabbing some shots of friends along the way. Regarding the title, you'll notice 'Men' is right. The public realm in general and foreigners snoopin' around with cameras certainly don't play nice with Middle Eastern Women. But to all my women friends, I want a picture of you too! Here's Ameed at work. He's always bugging me to stop and chat at his sewing shop, and is always mad cos' I'm always busy. Two Husseins. The one on the left is a santa-clausy character that's always jokin' with me like I'm a local. I went with my friend to his stand once and my friend was like 'that guy insulted you like 100 times!' Whatever. I can't tell. 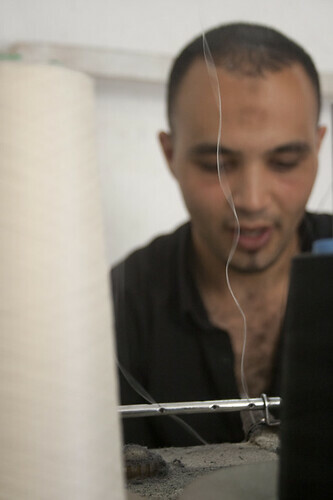 The other Hussein is both a football coach and art teacher in Askar. He speaks arabic CRAZY fast and I'm really stoked when I can understand him. This sweetie's named Baseem, he's a toothless guy who lurks in a picturesqely hidden coffee shop over the old city, rooms randomly filled with electronics. He knocked his teeth out on a scooter a couple years back so he talks with a funny lisp. Photos of his brother, Basim, pepper the old city, as he was a resistance fighter who was gunned down in his sleep by Israeli forces in 2007. I think I know most of this family and we talk all the time about politics, it's amazing that they'll treat me as a friend considering the US's justifiable rep around here. 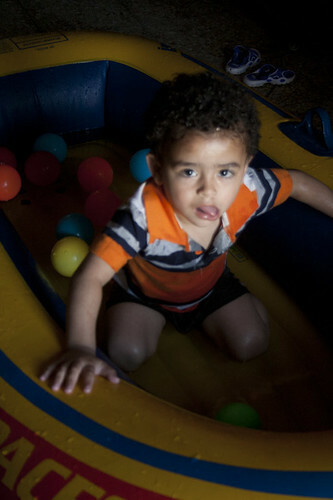 Here's his son, Basim, named after his uncle. 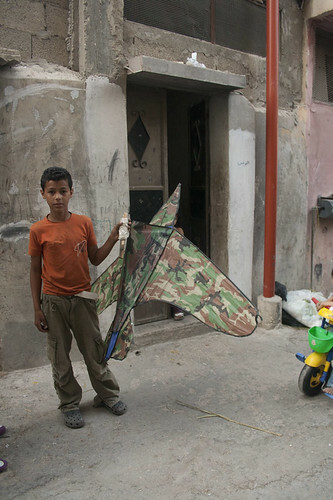 Baseem's an older fella who only wants 2 kids, which is super strange in Palestine. Cool guy. 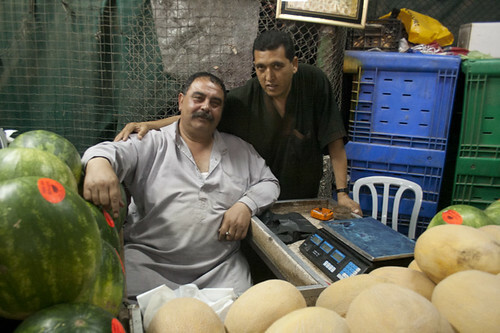 After a photoshoot in the old city Ibrahim and I went to Balata, here he is with his brother. 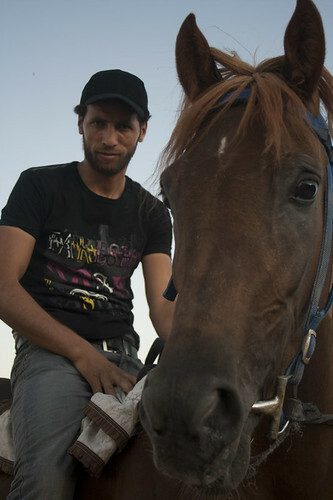 I was shooting Ibrahim for a bike article, but somehow horses got involved. Go figure. The best shots (obviously!) are the ones I'm using for the article, but there are like 20 good ones, so maybe I'll throw them up here so ya'll can help me decide which ones to use. 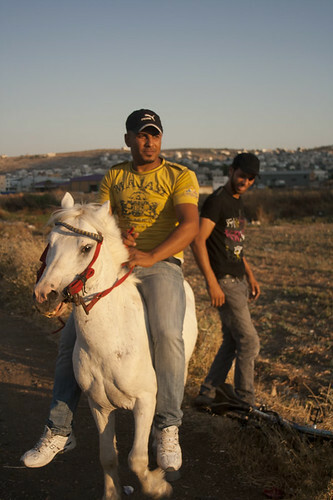 Good to be back in Nablus, good to have a good camera. These are lovely. Someday I would like to sift through more of your photos.